NatRoad president Allan Thornley has met with Shadow Assistant Minister for Road Safety Senator Sterle. Discussions encompassed the abolished Road Safety Remuneration Tribunal, the industry’s payment terms and working together to get more young people into the road transport industry. Allan Thornley said: “It’s critical that political parties of all colours support the toughening of chain of responsibility laws. We can never have another RSRT, which was ill conceived. Any future regulation in this space needs careful consideration to achieve bipartisan political and industry support. “Senator Sterle was keen that the industry work with him and other members of the Australian Labor Party to change the face of our regulation,” said Mr Thornley. Senator Sterle said: “I will always be a champion for the transport industry. The RSRT as a model didn’t work. We won’t rush into a new model that doesn’t work. I’m going to bring in safe rates, I’m going to do this and I’m going to do it properly,” he said. Making 30 day payments a mandated minimum. Introducing a trade recognised skill of heavy vehicle driving. Establishing a plan to get more young people to join the industry and increasing the industry’s diversity. Setting up a working group to look at any mandated rates scheme before a new system is put in place. Allan Thornley said: “We also reached agreement on the fact that enforcement of the law is critical. The industry must hold regulators to account. Parties must know that enforcement up the chain is likely and therefore regulators must allocate enough resources to enforcing the new CoR laws and any new regulation. 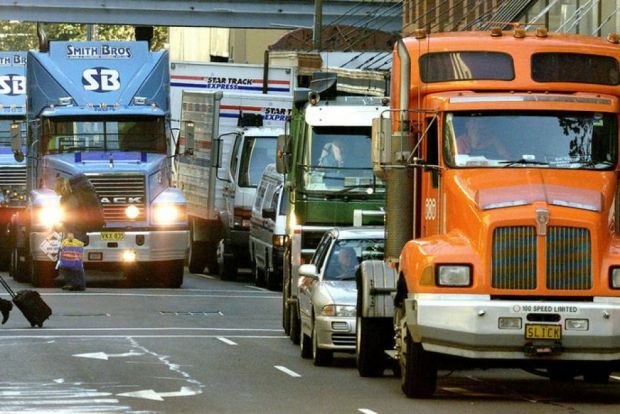 Truck drivers should be able to report breaches of laws that impact on their safety without adverse consequences. “We want to continue to engage with dedicated industry supporters like Senator Sterle,” Mr Thornley concluded. TWU National Secretary Michael Kaine said the owners’ organisation could deliver many solutions to the industry but instead keeps talking about what it opposes. “NatRoad says that it wants 30-day payments mandated. Then it must explain to its members and the wider industry why it opposed a system that was delivering this for owner drivers and that was examining an application from the TWU to extend this guarantee to all transport operators. Transport operators would have 30-day payments by now, instead of remaining at the mercy of big corporations that refuse to pay for work carried out for up to 120 days. “Since the RSRT has been pulled down nothing has been achieved by the likes of NatRoad to improve our industry. There has been no increase in rates and unpaid work, waiting time and financial insecurity are still major problems. Transport operators are still being forced into insolvency at higher rates than most other industries because the margins are so tight. In the 2017 financial year, 469 companies entered into external administration in the transport, postal and warehousing industries. Of those, 65% were businesses that employed fewer than five employees. The main reason for the insolvencies was inadequate cash flow. “Companies and their clients still aren’t held to account when drivers get pressured into gruelling work practices. In fact, clients have in the last two years been given a green light to heap the pressure on even more. Aldi has been emboldened to take the union to the Federal Court to try and stop drivers speaking out about rates and conditions in their supply chain. “Of course the slaughter is also still continuing. Deaths from truck crashes are still far too high while truck drivers are still more likely to be killed at work than any other profession. “The push for Safe Rates is simply about fairness. What skills will the supply chain of the future need?